How do you save the contents of a textbox as an .sql file using Excel-VBA? What I want to happen is upon clicking a button, I will be prompted for a file name and location for saving, and then it will take the value of the textbox and it will be saved as an .sql File. How can I do this? 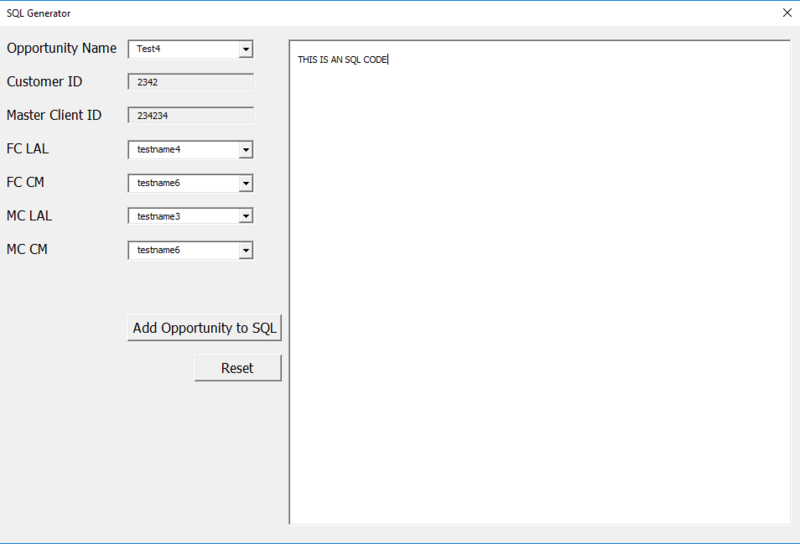 Print #1, "SQL Query here"
Email codedump link for How do you save the contents of a textbox as an .sql file using Excel-VBA?